Lead actor and director Kenneth Branagh clearly relishes the opportunity to create a decidedly retro murder mystery. Murder on the Orient Express might contain a handful of action scenes and copious amounts of computer-generated imagery, but Branagh is very clearly channelling a more classical style of film making. Released in early November, Murder on the Orient Express has the look and the texture of an old-fashioned Christmas television treat; a fantastic ensemble reenacting a classic murder mystery on lavish sets with heightened melodrama. Or, you know, the day. Branagh’s imitation is affectionate, but it is also laboured. Murder on the Orient Express feels like a nostalgic homage to the old ensemble-driven melodramas that were a dime-a-dozen, but there is something uncanny about it. Early in the film, the Belgian detective Hercule Poirot deduces that a fellow passenger is a dealer in forgeries, passing off unconvincing copies as historic artifacts. 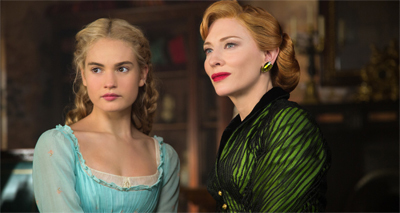 There is a sense that Branagh is attempting something similar, trying to construct something with the texture of a more classic piece of cinema, but without any of the spirit or the energy. Murder on the Orient Express is charming and engaging, its enthusiasm for its premise and setting infectious in places. However, it also as lifeless as the corpse at the centre of the mystery. You never really grow up past the love of dinosaurs. Sure, you are probably never as relentlessly fascinated with the gigantic reptiles as you were when you were a kid, but those prehistoric creatures still garner affection from children of all ages. That was, after all, the basic premise of Jurassic Park, which got a high-profile 20th anniversary re-release this year. It was also the driving force behind Walking With Dinosaurs, the ground-breaking CGI documentary broadcast on the BBC in the UK and on Discovery in America. So adapting the show to film seems like a logical step, and Walking With Dinosaurs: The 3D Movie is a bit of a no-brainer for a holiday family release, especially with families that have children too young to watch The Hobbit: The Desolation of Smaug or Anchorman: The Legend Continues and who have already seen Frozen. It’s a concept that really sells itself, which makes it incredibly frustrating that Walking With Dinosaurs: The 3D Movie goes out of its way to sabotage itself. Watch! 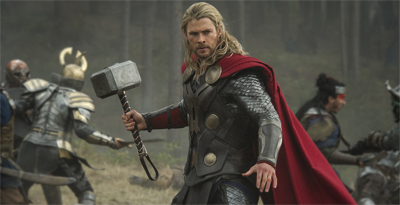 New Thor: The Dark World Trailer! I’m looking forward to Thor: The Dark World, if only because (somewhat controversially) I think that Kenneth Branagh’s Thor is the best of Marvel Studios’ films to date. Branagh isn’t back directing, but I’m always a sucker for high-concept fantasy and a wonderful cast. From the looks of it, Thor: The Dark World is really cashing in on this year’s hip new cinematic trend: destroying London. It joins Red 2, The Fast and the Furious 6, Star Trek: Into Darkness, among others, in laying waste to the capital. The Dark World features returning performers Tom Hiddleston, Idris Elba and Anthony Hopkins, which is reason enough to watch. Add in Christopher Eccleston and I’m intrigued. Anyway, the traielr is below. Check it out. The Wolverine is pretty far from a perfect film. In the era following The Dark Knight, we’ve come to expect more ambition from our superhero blockbusters; tighter plots; well-drawn character arcs and motivations for more than just our heroes. In a summer where some have fallen just short of working within this new paradigm (Man of Steel) and others have succeeded (Iron Man 3), The Wolverine feels like a conscious throwback. It’s a nineties action movie masquerading as a superhero blockbuster. Had it been released in 2007, it would have been well-received. And yet, there’s something quite fascinating and compelling about The Wolverine, despite the noticeable problems with the script’s third act. Director James Mangold struggles to keep things under control for as long as possible, Hugh Jackman still has a wonderful charm in the eponymous role, and The Wolverine has a fascinating thematic through-line and an approach to inter-movie continuity which is intriguing and strangely satisfying. The Wolverine falls short of greatness, but it’s still a fun and enjoyable ride.